Every now and then you need something to jar you out of your routine. My routine is to pick a scent I'd like to write about, wear it, think about it, write down some thoughts, wear it some more, think about it some more, look up the official list of notes, think about it some more, and finally sit down to write about it. This gets me about one review a week, which is fine, I suppose, but I look enviously at other scent bloggers and ask myself, How do they do it? How do they write about something every day or two? I have easily a hundred scents in my possession--mostly samples, fortunately--that I haven't written about yet. 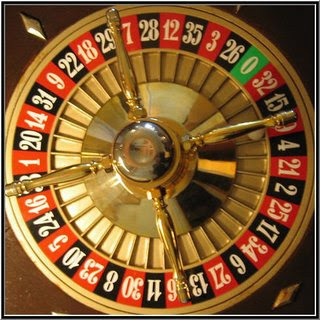 At that rate, and at the rate that I acquire new things, it's obvious that I'm going to keep falling further behind. Something must be done! 1) Every morning, randomly (using a very loose definition of the word) grab a box, randomly select a zip-bag or other container from it, and randomly select a sample from that container. 2) If I've already written about it (which is possible, because my filing system is less than optimal, but at least I have a good memory), keep going until I find one I haven't. If it seems like something I can't wear (say I'm heading off to work or the gym soon and it's strong/girly/whatever), make a second random pick: then choose one of the two. No thirds! 3) Wear it. Make a few notes. Write about it, fast. That day. Weekends are dicey, because Jim doesn't work them and doesn't like scents (to say the least). If he heads off to the gym before I do, I might be able to sneak one in. But five days a week for the next month or so? Doable. So let's do! 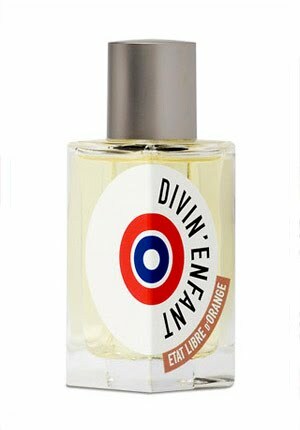 "Enfant divin" is the usual French way to refer to the baby Jesus, so Etat Libre D'Orange is employing their usual shock tactics in calling their scent "Divin'Enfant". It opens with a big wad of orange blossom, which, frankly, I am not a giant fan of. But immediately underneath is an equally outsized cloud of baby powder, with all its charming associations, and so it's obvious what ELO means to do: give us a standard recitation of the agreeable scents of babyhood, which turn out to be vanilla, orange-flower, a little peekaboo of rose, and the candy-powdery smell of marshmallow. It is charming. But charming is not what ELO is about: perversity is. Creeping up from under the baby perfume is.... Coffee? Chocolate? Leather? Tobacco? This isn't a baby: it's a grownup, a leather-jacketed reporter on a caffeine-fueled, smoke-wreathed bender. The only thing missing is bourbon (which presumably you can supply yourself). The disconnect between the two halves of the scent is mesmerizing. Equally so is the fact that you can't tell that any of the underlying scents are there at first; they're completely veiled by the top and middle notes. It hardly seems possible, but there it is: the magic of perfumery. What coincidence I am wearing Divin Enfant today. In fact it's a sample. I haven't wore it since I had written my review on it. Today I just wanted to wear it. I just love it, how comforting and sweet scent.